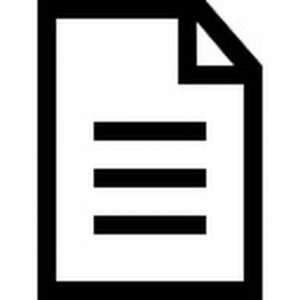 This digital resource is supported through an ESRC/ University of Glasgow IAA Grant ES/M500471/1 (2017) for the project titled ‘The modernisation of EU copyright rules in light of BREXIT’. 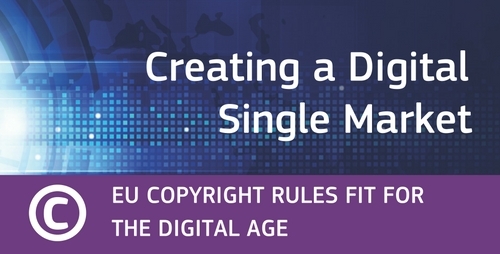 On September 14th 2016, the European Commission presented a package of proposed copyright reforms under the banner of promoting a Digital Single Market (DSM). Amongst others, the proposal includes an exclusive right of press publishers for the digital publication of their press publications. Academics have argued that aspects of the proposed EU Directive on Copyright in the Digital Single Market, such as the press publishers right, lacks a justification, will be harmful for access to information and digital dissemination of news. This view has been supported by CREATe public lectures hosted recently in Glasgow. 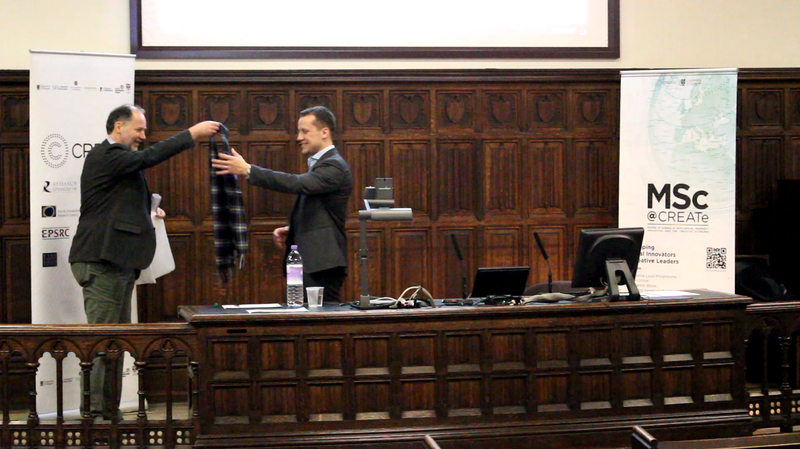 Prof. Kretschmer (Director, CREATe) offering a CREATe tartan scarf to Prof. Höppner as a ‘thank you’ gesture. Proposed EU Directive (Read here). Kretschmer’s CREATe Public Lecture (Read and see here). Xalabarder’s Public Lecture (Read and see here). Open Letter by leading European academics to Members of the European Parliament and the European Council (Read here). But, are there any merits of a related right for press publishers in the proposed directive? Are there any economical and technological perspectives of such a right? Are there any lessons for the post-Brexit UK copyright regime? The Humanities Lecture Theatre at the University of Glasgow – the only lecture theatre preserved in its original Victorian wooden amphitheatre layout, and marked as Room 255 on this map. On February 14th 2017, Thomas Höppner (Partner at Hausfeld, Berlin, a global law firm; Professor of Civil Law, Business Law and Intellectual Property Law, Wildau Technical University of Applied Sciences; &; Visiting Professor at University of Strathclyde, Glasgow) was invited by CREATe to speak on “EU copyright reform: the case for a related right for press publishers“. In this lecture, Prof. Höppner investigated the merits of the press publishers right. The lecture attempted to outline the economic and technical background including the developments in the consumption of press publications since the current legislation came into force. The lecture then presented arguments in favour of the proposed right and examined the counter-arguments raised against it. 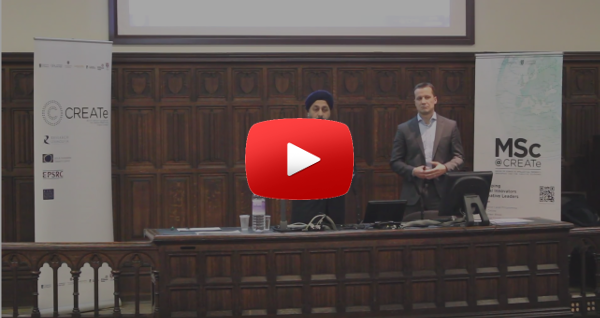 Find below the slides and full video recording of Höppner’s Public Lecture, organized and chaired by CREATe Programme Leader, Dr. Sukhpreet Singh.